With your selected product and niche evaluated as well as confidence in potential market demand, it's time to take a look at the competitive landscape. Just because you have a great product and there appears to be demand, there may also be fierce competition which you're going to want to be well aware of before proceeding. In this chapter, we're going to show you some tools and methods for better understanding your potential competition. The first step is to first determine who is currently selling your potential product. The easiest way to discover your competitors is to do some simple Google searches for your product idea. It’s important to think like a potential customer and search for terms that customers would actually use. You can also use the long-tail keywords uncovered from the previous chapter. 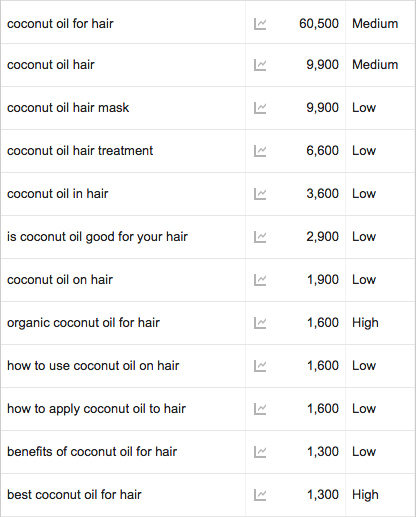 You’ll want to see which competitors rank the highest in Google for keywords specific to your particular product and industry. Note: Make sure you're browsing incognito and you're in the appropriate regional zone (if you want US search results and you're outside the US add &gl=us to the end of the search URL). Make note of who is ranking on the first page. To get an even fuller picture of your competitors, you can you can also type "related:www.competitorURL.com" in the Google search field to get a list of other similar companies. Alternatively, you can also use free online tools like SimilarWeb and SEMrush to uncover other competitors. Although it can be difficult to get a clear picture of how well each of your potential competitors are doing, there are some ways to get some indications. Note: Keep in mind that the Creation Date doesn’t always represent the date that the business was started, as it could have been registered, bought and sold long before the business that currently exists on the domain. Social following and interaction doesn’t necessarily correlate to sales but combines with other information, it helps to paint a better picture of your competitors. One of the most important things to remember here is that you can’t take the number of followers for face value. It’s easy these days to purchase thousands of even tens of thousands of fake (robot) followers inexpensively on services like Fiverr. Because of this, you must look past just social following and look at how much interaction they actually receive on posts and the sentiment of responses. Finally, when reviewing your competitors social accounts, pay particular attention to which platforms do they use; how often do they interact with customers, and how do they speak with their customers? Luxy Hair built a multi-million dollar business by utilizing YouTube as they main social channel when they determined that no other hair extension companies was using it. How do they emphasis their value proposition? What are their prices like compared to yours? What is their product photography like, and how are their product descriptions? What are their shipping options and prices like? Where are their call to actions, and how obvious are they? Are they trying to build an email list? Is their site optimized for mobile? Are You Ready To Validate? It's been a long road. From evaluating your product, to evaluating market demand, to evaluating competition you've made it farther than most people every will. There's just one final and essential step left before you can call it and begin sourcing your product. In the next chapter, you're going to learn several different methods for validating your product. Validating differs from evaluating in that so far you've used secondary information already available. By validating your idea, your going to be getting first-hand, primary information and maybe even try to make some sales to prove your idea in the real world.